Die hard bike commuters can justify riding in most conditions. Too cold? Bust out the balaclava and toe warmers. Too hot? Leave earlier in the morning to beat the heat. Rainy? Buy some good rain pants and a jacket. Windy? Put your head down and grind it out. This is especially true in the San Francisco Bay Area given our normally mild weather. But what about when the air goes bad? 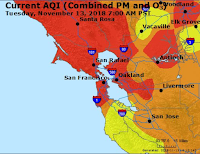 By "bad" I mean air pollution rising to the unhealthy levels for days on end. Currently we are faced with that exact situation. 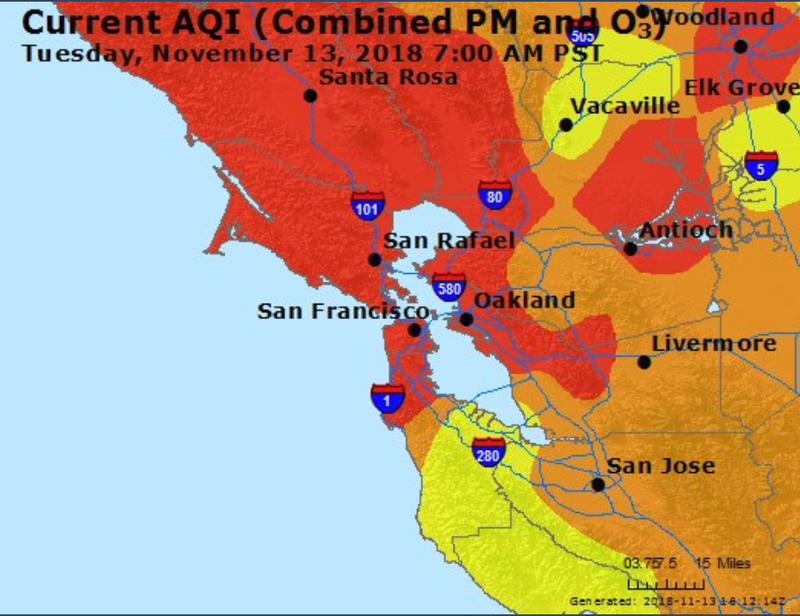 A devastating wildfire in Butte county to our northwest has sent a blanket of smoke particles our way, elevating PM2.5 (nasty small particle pollution that can get into your bloodstream) to levels we rarely see. The air is thick, hazy, exceedingly dry and casting a post-apocalyptic pall over the whole region. You can try wearing a mask (only a N95 mask or better will do anything, so don't bother with anything less) but it will probably drive you crazy after a few minutes. As for me I've been mixing it up. Taking the bus one morning. Riding home really slowly at night so my breathing rate stays low. Taking a ferry the next morning to cut down my cycling time from 12 hilly miles to 3 flat miles. It's not fun now that I've been "cooped up" for almost a week, but it seems like the most sensible approach. 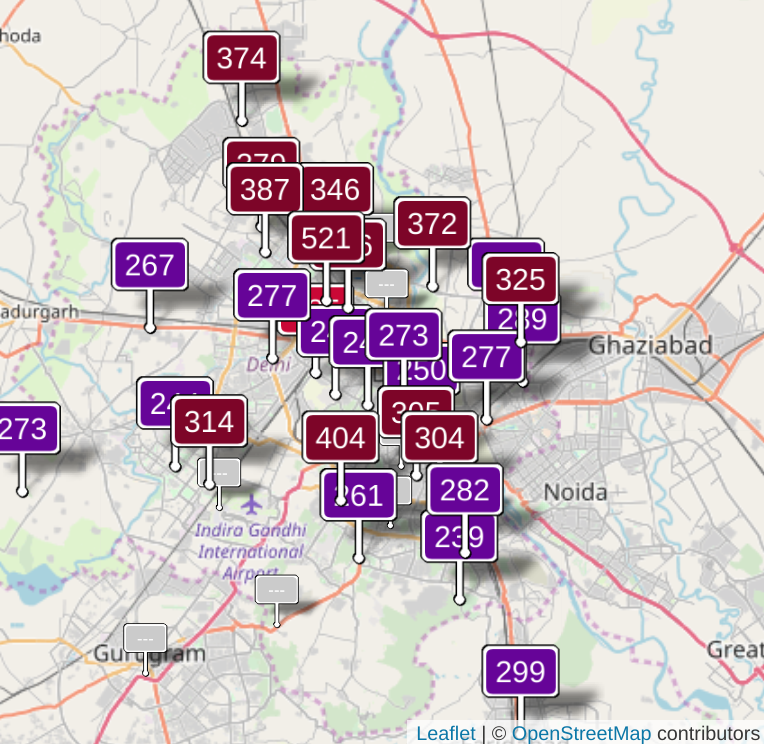 What's even crazier is that the terrible conditions we are experiencing only just get us into the top (well, bottom) 10 cities with the most extreme air pollution. Place likes Delhi, Beijing, Mumbai, and Jakarta are faced with even worse conditions on a regular basis. Yikes. A reminder that in the grand scheme of things we are lucky to be here.